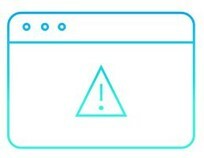 The 2016 Cyber Resilience Report found that 66% of companies in 61 countries experienced at least 1 cyber incident in the last year, caused primarily by phishing & social engineering, malware, spear phishing, denial of service, and out-of-date software, rendering the organization’s own network either contaminated or inoperable. Since 2010, we have suffered 2,018 natural disasters (averaging 336 per year). The US is second only to China for the number of natural disasters. Natural disasters have cost the global economy $2.5 trillion since 2000. 80% of businesses suffering a major disaster go out of business in three years. To ensure your company doesn’t face these challenges, you need a plan – one that is highly dependable and easy to manage. 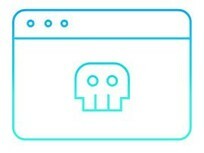 Datto’s Data Continuity (Total Data Protection?) Platform provides an end to end solution enabling you to back up servers and NAS storage locally, then ensure full protection by replicating the backup content to Datto’s highly secure Cloud. For popular SaaS applications with data already in the Cloud, Datto Backupify allows complete control over protecting and accessing critical content. Restores are just as easy as backup. If you lost just one file, search through version history to restore just the right one. If your whole server went down, quickly bring up a Virtual copy on site with our Datto SIRIS device. If your whole office is under water? Virtualize your entire critical business infrastructure in the Datto Cloud. And we back up as frequently as every five minutes, ensuring you extremely granular restore options. Rest assured you can bounce back fast from any disaster, and continue to do business in minutes – not hours, days, or weeks. In fact, we can initiate a virtualized copy of a server within 6 seconds from pushing the restore button! SIRIS 3 is the first fully featured total data protection platform delivered in one integrated package. Easily protect any physical, virtual and cloud infrastructure running on Windows, Mac or Linux, and spin up lost servers in seconds without the need for additional tools. 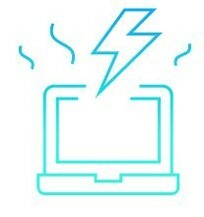 Backup automatically on your schedule to a local device, and replicate backups to the Datto Cloud. Recover granular data quickly from multiple points in time, or use local virtualization, Datto Cloud virtualization - or both - to get back to business in minutes. 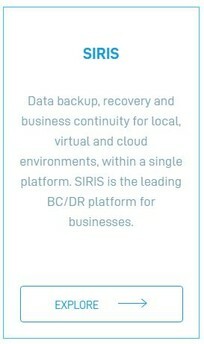 Deployed as a physical, software or virtual appliance, SIRIS 3 provides the business continuity features, tools, and management capabilities to get up and running fast. All three deployment options leverage Datto’s award winning core technologies, service, support, and central web management portal. If you need to ensure business continues even when business infrastructure fails, SIRIS is the market leading solution for you. 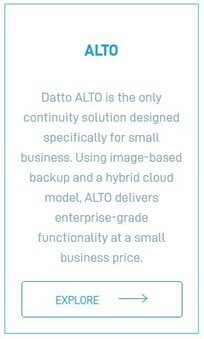 Datto ALTO is the only continuity solution designed specifically for small business. Using image-based backup and a hybrid cloud model, ALTO delivers enterprise-grade functionality at a small business price. 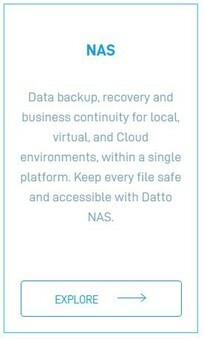 Datto NAS - Data backup, recovery and business continuity for local, virtual and cloud environments, within a single platform. 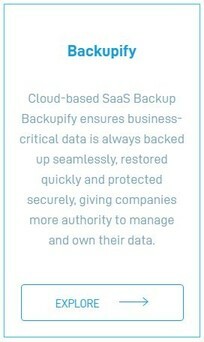 Find, restore, and manage all of your SaaS data with Backupify.